University Hospital Southampton NHS Foundation Trust (UHS) has boosted its Cellular Pathology digital operations with the introduction of five PathLite Compact systems from Cirdan. Natasha Pranevich, former Project Lead and Shireen Padayachy, Senior Biomedical Scientist at UHS discuss the project and the impact that has been made within the department. UHS is a major teaching and research centre, providing services to around 1.9 million people living in Southampton and South Hampshire, plus specialist services such as neurosciences, cardiac services and children’s intensive care to more than 3.7 million people in Central Southern England and the Channel Islands. Pathology at UHS carries out over 10 million tests (1.8 million specimens) per annum from specimens received from hospital, general practice and other sources. Recognised as a global digital centre of excellence and a leader in NHS IT, UHS has overseen the development of a number of pioneering digital projects in recent years. Their key aim has been to support the move from paper-heavy to paper-light working and to enable those working within the trust to share information more easily with each other. It is therefore not surprising that they wanted to ensure that pathology was included in this digital transformation. Cellular Pathology has lagged a little behind other departments regarding digital advancement, particularly in imaging. Macro images were being captured on standard DSLR cameras, saved to individual hard drives with little consideration for where they were stored, how they might be accessed or how they should be managed. With integration at the forefront of their minds UHS invited leading digital macro imaging system suppliers to provide product demonstrations. It was apparent soon into the process that all the vendors UHS looked at were comparable in terms of the image quality they needed. However, the level of software sophistication and ability for integration varied greatly among suppliers. 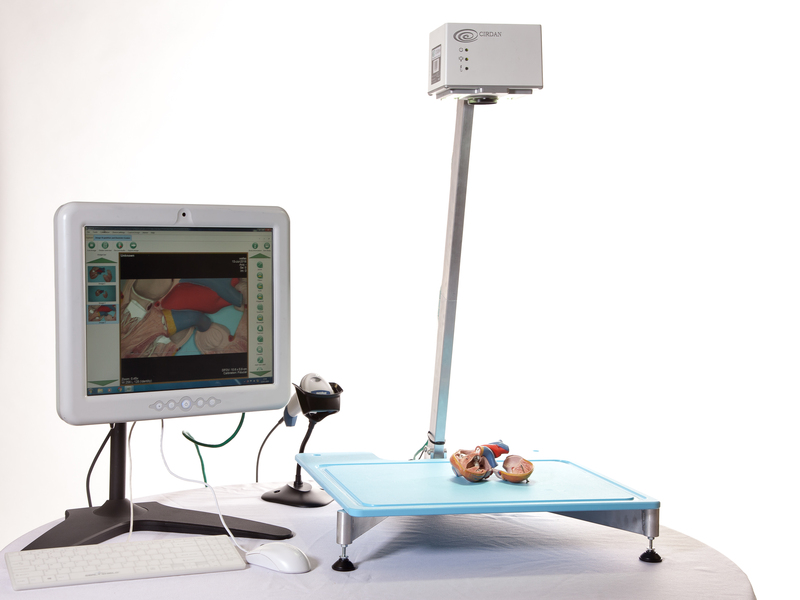 “Cirdan’s PathLite Compact system was the only solution that we looked at, which offered the ability to integrate with our PACS and fitted with our overall digital imaging strategy, making it an obvious choice”, according to Natasha Pranevich. Cirdan, along with its UK PathLite Compact distributor, PFM Medical met with the team at UHS to discuss their integration requirements and wider digital plans for the laboratory. 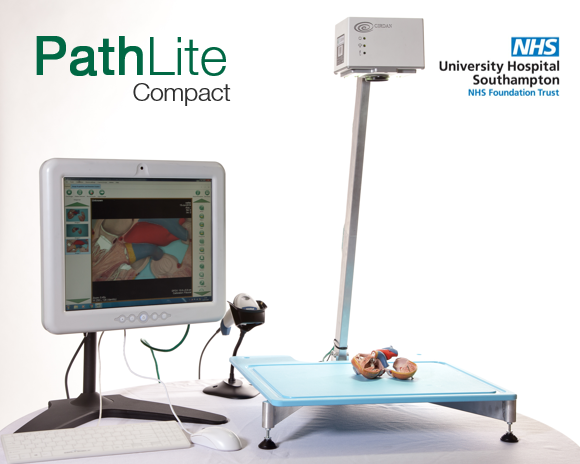 Feedback from UHS users has been that PathLite Compact’s software is very user friendly and that images are easy to annotate. It is possible to save multiple images with each case and store centrally on the network. The images saved are DICOM compliant as this is the international standard to transmit, store, retrieve, print, process, and display medical imaging information. Images can be uploaded automatically to a common location on the trust network. “We are delighted with the positive impact the new systems have made already within the department. The support we have received from both Cirdan and PFM Medical has been excellent, and I look forward to our continued partnership” adds Shireen Padayachy.